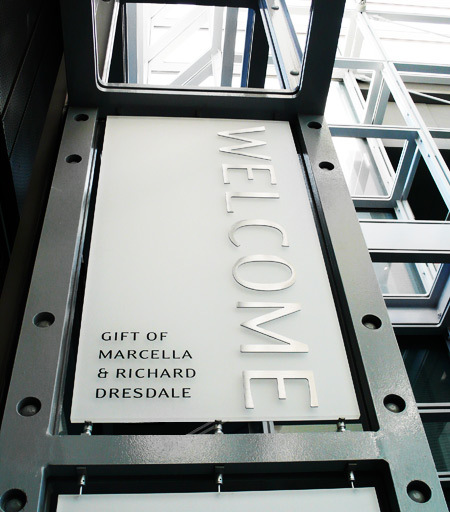 The Welcome Center Sign shown is manufactured by applying a proprietary frosted coating combined with a colored interlayer to a 1” thick acrylic panel. 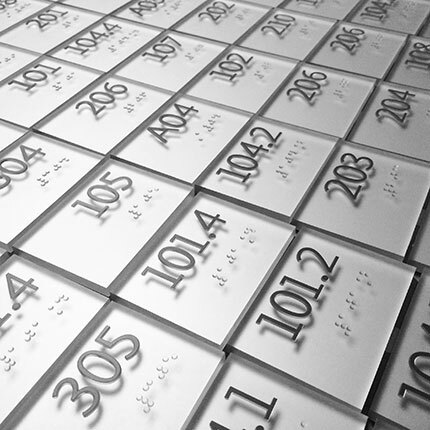 Graphics are surface silk-screened and then flat cut out satin aluminum letterforms are applied to the panel. Finally, a rod-based hardware system in conjunction with custom brackets is used to discreetly secure the translucent panels to the steel framing without visible fasteners on the face of the panels.